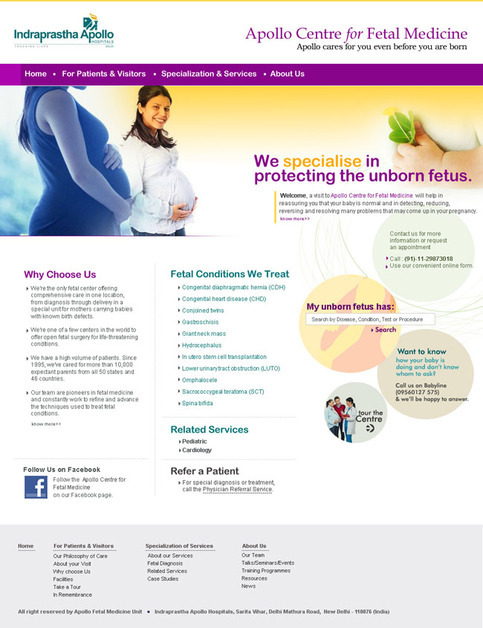 This is a screenshot from one of our latest homepage design for a Fetal Medicine Unit in India. The website URL is www.fetalmedicineindia.in . Services we offered: Custom Website design, Wordpress Installation and Integration with Custom design, Wordpress as a Content Management System, Search Engine Optimization, Search, Blog. We at Grey Coconut Designs offer High end custom designs, development on Php, MySql, Linux platform as well as Open Source systems like Wordpress, Joomla, Drupal, Oscommerce, Zen Cart etc. etc.